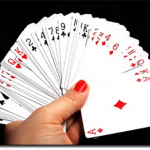 Can Americans play at online casinos? The short answer is yes, the long answer is much more complex. This page will discuss the complex gambling laws restricting online casinos from servicing players across the USA, and clarify how certain states have legalised aspects of Internet gambling and why others have not. In the United States, playing blackjack online and playing for real money bets at an online casino or online gambling site in general is possible, but players have to understand the current legal climate before jumping in. Gambling is legal in the U.S. under federal law, but online gambling comes under much more significant restrictions. Each individual state in America is able to regulate or prohibit the operation of online casinos within its borders with state-specific legislation and create local licensing bodies to audit and test them. At this time, four states have fully legalised online casinos and created thriving iGaming industries – Delaware, Nevada, New Jersey and Pennsylvania – with real money blackjack, slots and other table games 100% available for state residents to enjoy legally. The UIGEA was a follow-up to the Wire Act of 1971, which did not adequately or specifically restrict Internet-based betting because it was enacted in a time before the World Wide Web existed. Following its introduction, the majority of the world’s biggest online casinos and poker sites exited the American market to avoid the complex legal situation. However, there are still many offshore-based online casinos, licensed and regulated in foreign jurisdictions (so that state laws do not apply to them) that service American players today. While it is technically not permitted for Americans to gamble at online casinos that are not licensed or allowed in their state, we stress that the laws target the operators and banks specifically rather than the player. 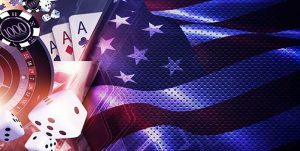 Many players from the USA continue to enjoy real money blackjack and other online casino games such as video slots, baccarat, roulette, poker and live dealer via their desktop computers or mobile devices without legal consequences or prosecution. 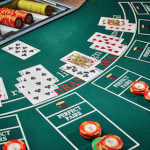 The only obstacle USA currently face when playing at offshore online casinos is traditional banking methods often cannot often be used as payment methods due to the UIGEA banning banks from processing gambling transactions, so other alternatives like Bitcoin and virtual wallets are required to deposit, play and withdraw. Americans can find and play some of the best real money online blackjack software at several of our top-recommended offshore sites, made by premium game makers such as Bodog Custom, Realtime Gaming and Rival Gaming. There are a ton of different types of blackjack out there, including several blackjack variants with side bets offered like you would see at your local land-based casino venue. 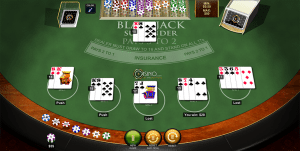 All games software is played against a computer opponent governed by a Random Number Generator (RNG) but there is a special type of online blackjack called live dealer blackjack which allows you to play with a real person acting as the dealer in front of a video camera feed, streamed live to your device’s screen in high-definition video. It evokes the same social atmosphere as playing at the tables at your local casino venue, and we highly recommend checking it out. All blackjack games for US players are instantly playable on both desktop computers and mobile devices without the need to download any special program, as you can simply play via your Web browser (so long as you have an Internet connection). Real money casino players from the USA may find it a bit more difficult to find accessible deposit and withdrawal methods at offshore online casino sites due to the UIGEA. Bank transfers, credit card and debit card (MasterCard and Visa) are not always available, but one particular method that is popular with US bettors is the use of a Visa Gift Card, which works as a deposit method at certain sites so long as you make sure it is marked as allowed to be used for ‘International and Online Purchases’ when you purchase it. US players are recommended to use cryptocurrencies like Bitcoin when supported at online casinos due to their lack of geographical boundaries, and virtual wallet services like Neteller and Skrill.